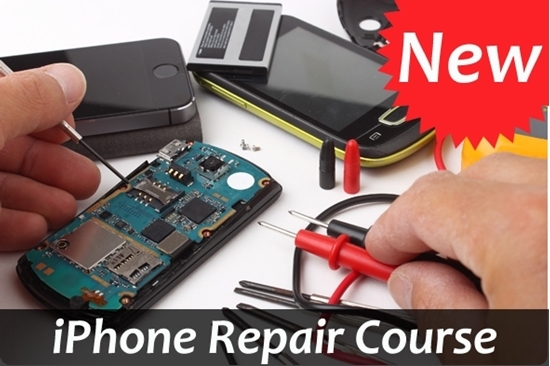 This course will prepare students with no iPhone repair experience for careers in the rapidly-growing cell phone repair field. Learn to fix iPhones and other iDevices and start your own business. It comes with 10 lessons, course eBook, study guide, a 17 piece tool kit, instructor support, certificate of completion upon completion and online exams. Learn to replace LCD screens, touch screens, charge ports, headset jacks, speakers, treat liquid damage, replace crystal chips, unlock phones, and how to recover data from a broken device. 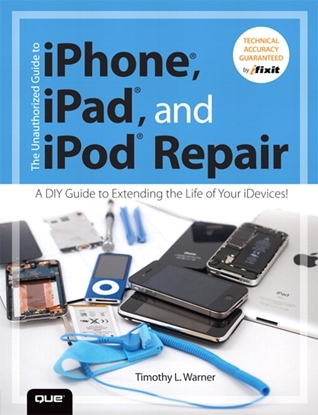 Comes with a full-color eBook that shows you how to resurrect expensive Apple mobile iDevices. Along with instructor support and a certificate this iPhone repair course includes a tool kit to repair Apple products like the iPhone, iPad, and iPod. 16 tools allows you to take apart your mobile devices without damage to the tablet or phone cover. 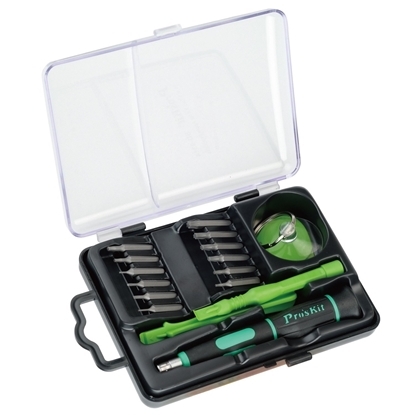 Rubberized, anti-slip handle allows for a firm grip to prevent slippage during repairs. “Why Do It Yourself?” presents all the reasons why you might want to consider taking screwdriver in hand and performing DIY work on your iDevices. “The Tools of the Trade,” is all about understanding what is required of you, from character traits to specific hardware tools, to become an effective iDevice technician. “Protecting Your iDevice User Data and Settings,” is where you learn how to ensure that you don’t lose any of your precious documents or settings when you perform work on iDevice hardware. “iDevice Repair Best Practices,” connects you to the larger computer technician community and makes you fully aware of the tips and tricks professionals use to guarantee a safe work environment. “iPhone 3GS Disassembly and Reassembly,” is a great place to begin your iDevice disassembly practice because 3GS hardware is inexpensive and the phones are relatively easy to take apart. “iPhone 4S Disassembly and Reassembly,” shows you how easy and (dare I say it) enjoyable it is to work on iPhones; they represent the best Apple iDevices to repair, bar none. “iPhone 5 Disassembly and Reassembly,” continues the iPhone DIY love; you’ll be pleased to note that with respect to the iPhone, Apple actually made this model of the device easier for us repair techs to disassemble and perform parts replacements. “iPad 2nd Generation Disassembly and Reassembly,” presents a full walkthrough on the iPad 2. You’ll be unpleasantly surprised to learn how difficult it is to gain entry to these beasts. replacements on iPads is largely a breeze. “iPad mini Disassembly and Reassembly,” presents how to disassemble and reassemble Apple’s smallest iPad model. The good news is that the iPad interior is intelligently designed. The bad news is that the display is difficult to remove and parts are permanently soldered to the logic board. “iPod touch 4th Generation Disassembly and Reassembly,” provides proof that Apple doesn’t want anybody (including its Apple Store employees) opening any iPod touch device. “iPod nano 5th and 7th Generation Disassembly and Reassembly,” takes on the nearly insurmountable task of disassembling an iPod nano without doing more damage in the process. Again, Apple considers all iPods to be disposable devices; I do my best to teach you how to prove Apple wrong. “Addressing Water Damage,” gives practical tips and tricks for resurrecting an iDevice that has taken a bath against your will. The information in this chapter can save you quite a bit of money at the Apple Store! “Replacing the Front Display and/or Rear Case,” shows you how to perform what is by far the most common iDevice repair—replacing the display assembly and/or the rear case. “Replacing the Battery,” demonstrates that batteries do indeed have a limited lifetime and it is relatively straightforward, depending upon the model, to replace the battery in your iDevice. “Replacing the Logic Board and/or Dock Connector,” teaches you about the logic board, which constitutes the “brains” of any iDevice, and gives you techniques for performing this most fundamental of parts swap-outs. “Recovering Data from Your Broken iDevice,” presents clear instructions for retrieving otherwise lost data from crashed, crushed, or otherwise hopelessly damaged iDevices. your instructor to make you fully aware of what’s possible with your new, secondhand, or seemingly “broken” iPods, iPhones, and iPads. Learn from the comfort of your own home and study when it's convenient for you - there are no time limits. Includes instructor support and you can take your exams online on our e-grade web site. If you ever need help with your course you can call or e-mail our staff of highly trained instructors for immediate attention or you can join the chat room and ask a question. Best of all, you'll earn a Certificate of Completion in iPhone, iPad and iPod Repair suitable for framing when you're finished! How do I order the iPhone, iPad, and iPod Repair Course? 2. Or you can call us at (800) 321-2155 and ask for course 02-iPhonb. Order online or call (800) 321-2155. 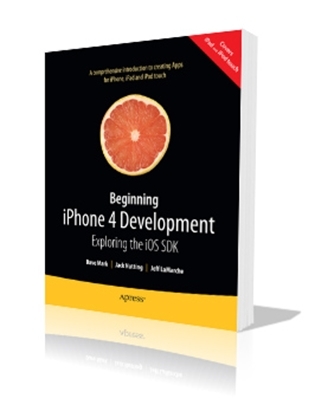 Everything you need to know to develop your own best-selling iPhone and iPad apps, plus best practices for optimizing your code and delivering great user experiences. This book will show you how to incorporate marketing and business savvy into every aspect of your iPhone and iPad apps design and development process.